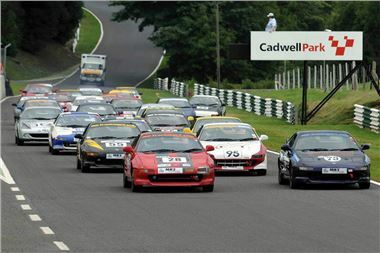 Offering some of the closest track action in motor sport and already guaranteed full grids at every meeting this year, the MR2 Championship is living proof of the popularity of exciting, no-frills racing. Toyota is pleased to support this unique national series for its mighty mid-engined MR2 as title sponsor for 2011. Run by the 750 Motor Club, the championship features classes for all three generations of MR2 and continues to attract capacity fields. Such is the response this year, qualifying heats are anticipated in order to accommodate the number of drivers signing up to take part. Toyota’s sponsorship of the series extends its support for UK motor sport, alongside its recently-announced backing for the Toyota Sprint Series and its support helping privateers with Avensis race cars to teams competing in the 2011 Dunlop MSA British Touring Car Championship. The Toyota MR2 Championship comprises three classes, for each generation of MR2/MR2 Roadster, running standard engines and transmissions. Not counting any qualifying heats, the series will be fought out over 13 races held across seven meetings.